The study and celebration of regionalism is becoming more and more important to an understanding of American culture, and this is the first definitive reference work on culture in its many regional manifestations within the United States. Each volume includes chapters on integral parts of regional culture, including architecture, art, ecology and environment, ethnicity, fashion, film and theater, folklore, food, language, literature, music, religion, sports, and recreation. Chapters present exhaustively researched, detailed narratives of the given subjects, covering from indigenous culture through the present day. For example, the chapter on Music in The Pacific Region explore such styles as indigenous tribal music; Asian-American composition; the Mexican-American ranchera, nortena genres; Latin and West Coast jazz; Hawaiian slack key music; surf rock; Haight-Ashbury psychedelia; underground L.A. Metal; Northwest garage and grunge rock; and Long Beach ska, among others. Multiply this depth of coverage by thirteen chapters and again by eight volumes to get a sense of the phenomenal wealth of information presented in this set. Furthermore, each chapter is enhanced with sidebars, photos and illustrations, and a Resource Guide (including print, electronic, film, and organizational entries). Finally, each volume includes two maps-a conventional map of the region and a map of physical geography-and concludes with a bibliography and an index. 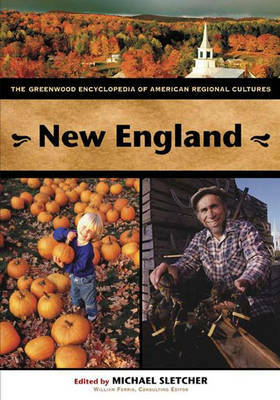 The Greenwood Encyclopedia of American Regional Cultures covers cultures from every state in the nation. The set was designed in coordination with the National Standards for United States History and the Curriculum Standards for Social Studies, and with the feedback of Consulting Editor William Ferris (University of North Carolina), former Chairman of the National Endowment for the Humanities, and Librarian Advisor Paul Piper (Western Washington University). ""Because Americans are so deeply immersed in their sense of place, we use region like a compass to provide direction as we negotiate our lives.... The Greenwood Encyclopedia of American Regional Cultures "provides an exciting, comprehensive view of our nation's regions. Together these volumes offer a refreshing, new view of America's regions as they stretch from the Atlantic to the Pacific."